101 Morningside Avenue is an 11-story, 55,000 Sq. 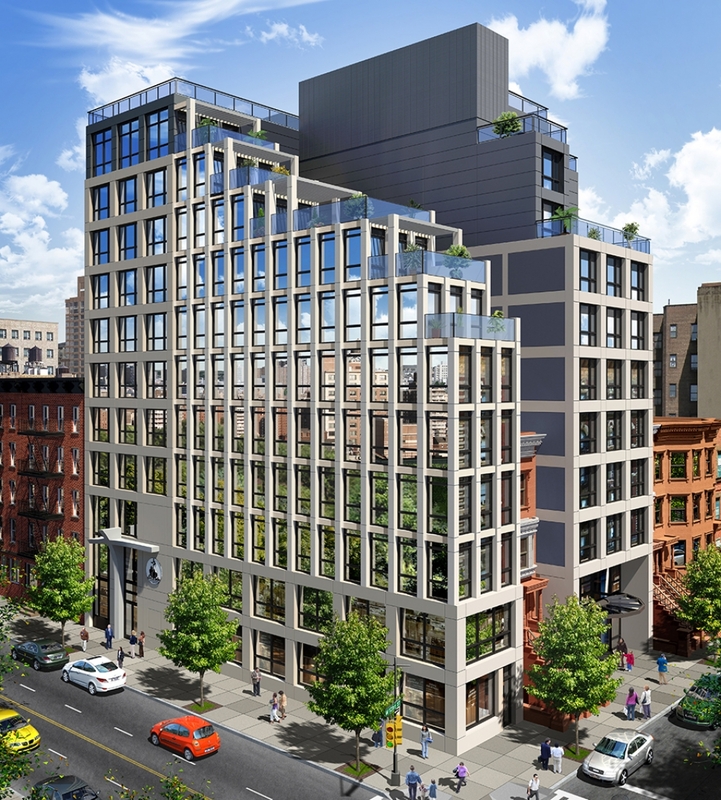 Ft. mixed-used project located in Harlem. This project will provide 36,000 Sq. Ft. of residential space divided into 22 condos that range from one to four bedrooms. The units have been designed with a unique window parti that evokes the sensation of viewing Morningside Park across the street through a forest of trees. Each laterally oriented room will have over a dozen windows to enhance the feeling of living within nature. Amenities for residents include a fitness room, outdoor rooftop recreation areas, bicycle storage, in-unit laundry facilities, and private terraces for units on the upper floors. In addition to the residential portion of the building, the lower levels will feature a new 7,700 Sq. Ft. space for the neighborhoods St. Lukes Baptist Church and community facility.